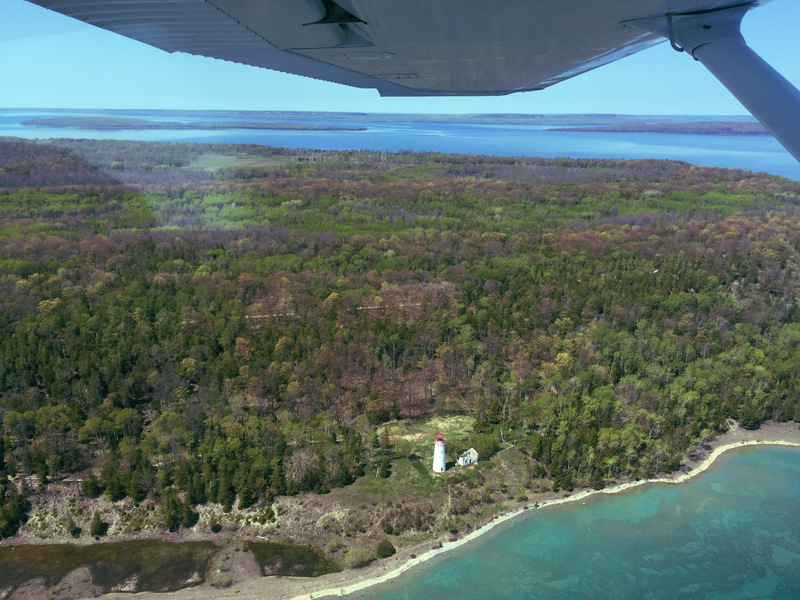 This scenic tour will have you skyward for 30 minutes, sightseeing just off-shore near Wiarton. White Cloud Island, Hay Island, and Griffith Island are at the mouth of Colpoy’s Bay, just north of Big Bay. From this vantage point you’ll be able to see Cape Croker and the escarpment lining the edges of Colpoy’s Bay. 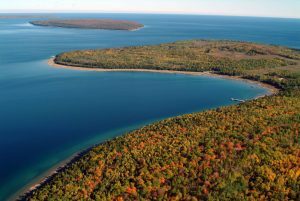 The islands themselves feature three separate grass landing strips, a lighthouse, docks, cottages and more! There’s many details that are best seen from the air!